David Pratt scoured books, articles and speeches by 826 Nobel prize winners for distilled wisdom from the world’s acknowledged geniuses. Here, he has winnowed 916 quotations by 498 recipients from his collection of more than 7500 quotes, for business executives to use in their own presentations. His sources range from scientists to literary giants: Einstein, Curie, Hemingway, Kissinger, Martin Luther King and more. The quotations are accompanied by brief biographies. David Pratt’s criteria for selecting a quotation is simple: it must be a perceptive observation or recollection and it must provide special insight or inspiration. 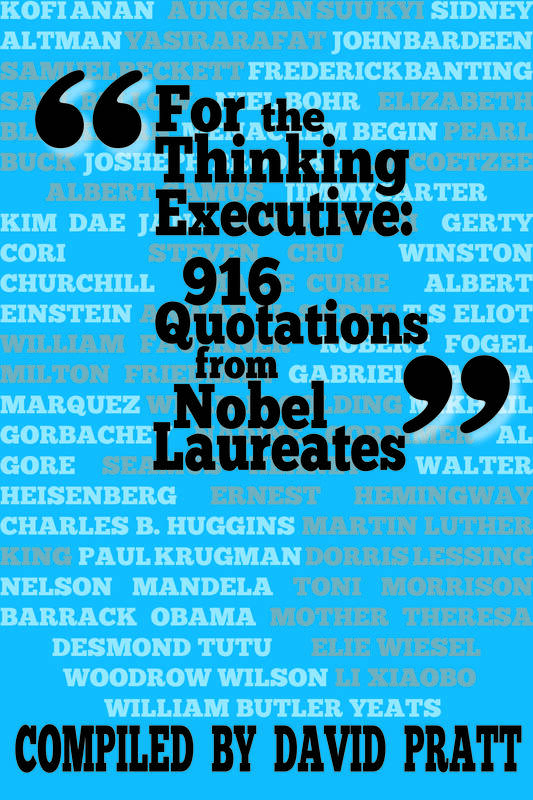 Read or write a review for For the Thinking Executive on Goodreads here.